Standalone expansion for Gothic 3. Install Enhanced Edition patch for essential bug-fixes. Enhanced Edition Patch 2.01 fixes numerous issues. Using it is strongly recommended. Note that saves from some earlier patch versions are not compatible. Delete or rename Publisher.bik and CPT.bik. Default is 60°; see Field of view (FOV). Windows cursor visible during gameplay. See Windowed. Choice of Anisotropic 1x/4x/8x/16x (with Enhanced Edition). Choice of Off or FXAA (with Enhanced Edition). Change Camera.FOV= to the value you want (default is 60°). Save your changes. Reverse this change to go back to fullscreen mode. The Windows cursor will be visible during gameplay. Sliders for acceleration and smoothing (with Enhanced Edition). Master, voice, music, FX and ambient sliders. If some languages are not listed in-game ensure you have installed the Enhanced Edition. Audio only in Polish retail and Steam version; all others are text-only. 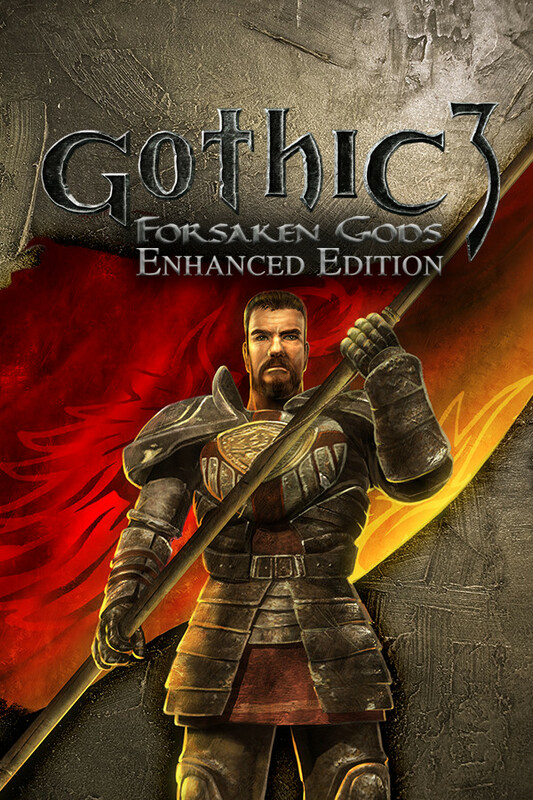 Use Helix Mod: Gothic 3 & Gothic 3 - Forsaken Gods. Find Timer.ThreadSafe (if this line is missing install the Enhanced Edition). ↑ 1.0 1.1 File/folder structure within this directory reflects the path(s) listed for Windows and/or Steam game data (use Wine regedit to access Windows registry paths). Games with Steam Cloud support may store data in ~/.steam/steam/userdata/<user-id>/65600/ in addition to or instead of this directory. The app ID (65600) may differ in some cases. Treat backslashes as forward slashes. See the glossary page for details. This page was last edited on 23 April 2019, at 23:19.